Pete Davidson popped the question — and then he popped some popcorn! 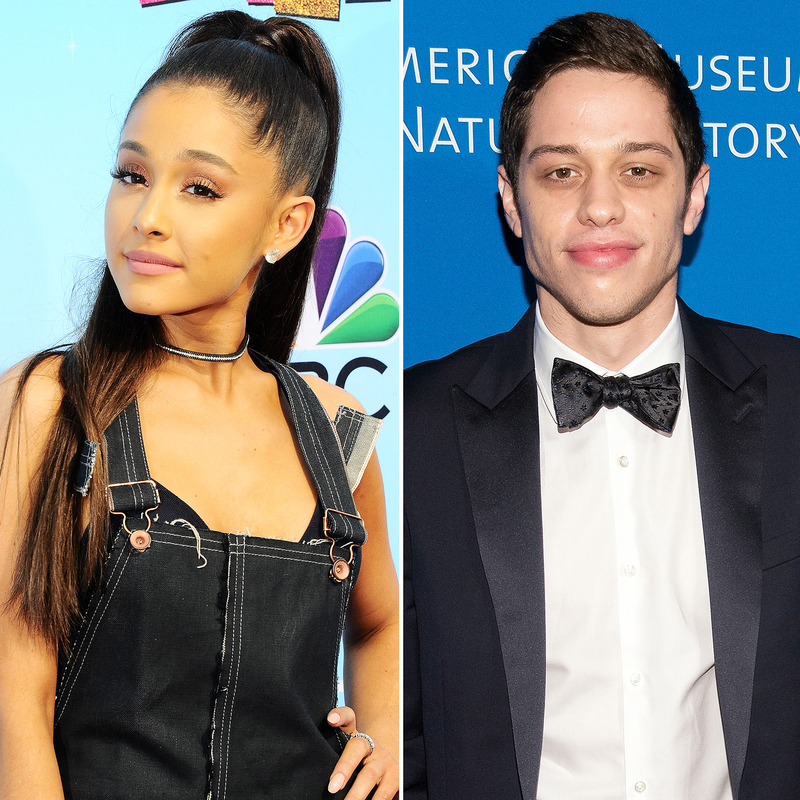 The Saturday Night Live star and his fiancée, Ariana Grande, enjoyed a low-key movie date with their friends on Wednesday, June 13, an eyewitness tells Us Weekly. The “No Tears Left to Cry” singer and Davidson, both 24, headed to the movie theater Regal Battery Park Stadium 11 in New York City for an 11 p.m. showing of the supernatural horror flick Hereditary. They were joined by two of Grande’s female pals and three of Davidson’s male friends. When the movie ended, one fan said, ‘Congrats on the engagement!’ and the Grammy nominee responded, “Aw, thanks,” the onlooker tells Us. Grande then took a selfie with the moviegoer before leaving with her fiancé, their friends and her security team. Us broke the news earlier this week that Grande and Davidson are engaged after a few weeks of dating. A source told Us, “They are a perfect fit. They are not rushing to get married. Their friends are really excited and supportive.” The pop star later showed off her reported $93,000 engagement ring during a trip to Disneyland with the comic. Radar Online was first to report the news of the movie date.